with his famous racing number 69. 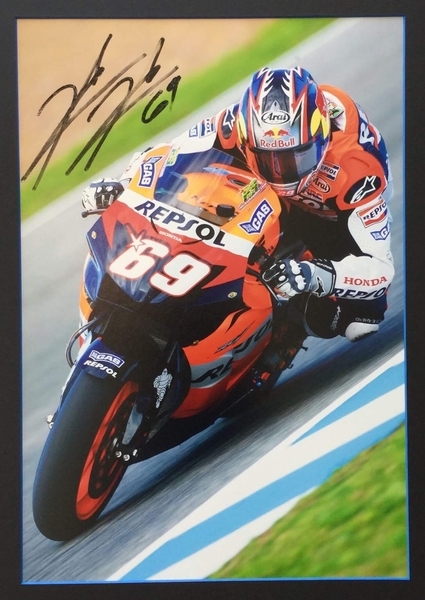 This large display of the 2006 MotoGP champion is signed, with his famous racing number 69. The MotoGP world champion died five days after being involved in a cycling accident in Italy, according to Italy's ANSA news agency and Red Bull Honda, a sponsor of Hayden. He was 35.